Stay connected with your child…. 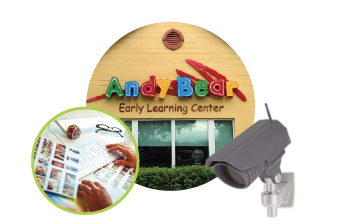 Andy Bear Early Learning Center in Coral Springs is committed to providing the highest quality learning experience in a clean and safe environment for each child in our program. From Infant Care, Daycare, to Preschool, we take education and development very seriously. Moreover, we believe it is one of the key ingredients for a successful future. We make learning fun! Just a few of the many things that makes Andy Bear Early Learning Center different. To be sure your child is getting the best care! 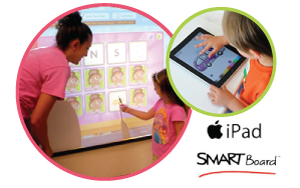 So parents can see kids in the classroom from anywhere! A secure camera inside every classroom. Securely streaming to any device & computer. 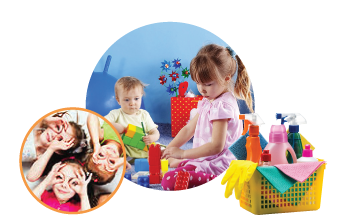 As professional childcare providers and parents ourselves, we know that it can be difficult to leave your little ones during the day. Maybe you’re going back to work after maternity leave or had a particularly emotional drop-off that morning. Overall, you simply miss seeing your little one. The staff at Andy Bear Early Learning Center understands how you feel. That is why we have installed the latest video technology so you can see that your child is safe, playing and interacting with other children. In addition, you can see your child's interaction with their devoted teachers throughout the day. Therefore you can rest assured your child is receiving the care you expect! Our parents have viewing access to each of our classrooms, the infant nursery, and our playgrounds. Stay connected with your child…. even when you are at work!